Even if GDP was a secret, you would still conclude that economic activity grew strongly in Ireland last year. Employment grew by nearly 3% and tax revenues by 5%. Was this a) this was an economy returning toward its underlying potential, or b) this was an economy beyond its potential, and beginning to overheat? 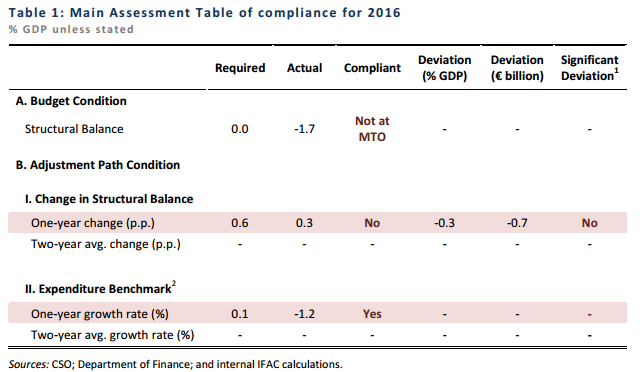 The Fiscal council is obliged to use the EU assessment methodology which suggests that b) was the case. This is despite no real evidence (yet) of much inflation or pay pressures which you would typically expect when firms are competing for workers and other resources. Unemployment has fallen quickly and by a lot, but is still comfortably above what was observed in the last boom. Likewise, labour force participation is still lower too . Right now, the EU methodology is basically saying that the economy is slightly overheated, but will cool in the next year or two. While most people who look at the numbers would tell you that we are at capacity right now but at risk of overheating if current trends continue. The EU methodology also means that potential output tracks actual output too closely, and told policymakers in 2006 that the economy was only slightly overheating, and by 2011 that it was operating only a small bit below potential. This was despite a reduction of one job in seven over those five years! The case is as strong as ever for some kind of national consensus model of potential output. This would not be easy to achieve, but would surely be better than the EU methodology. Policymakers need a consistent, common-sense signal about how the economy is performing, and the current approach simply does not provide this. G*P or similar such meaningless estimates are a modern form of ‘willy-waving’ by folk who may have a personal interest (often of a pecuniary nature) in such nonsense. But hey, just go with the flow here! All modern economies – since the inception of the Industrial Revolution HAVE to expand or grow organically over the medium and long-terms. There has to be more and more and more of all sorts of stuff produced and consumed each year, every year. Where an economy does not, nor cannot, exhibit a positive Rate-of-Gowth, then bad things happen. Mind you, that RoG has not only to be in positive territory, but has to exceed 2.5% on an annual compounding basis – or else! A constant feature of our modern economies is the steady upward trend in consumer consumption; or it use to be. Its somewhat early to judge whether or not a ‘growing’ economy is characterised by the steady increasing consumption of more and more goods and services (a physical or organic expansion) paid for out of current (disposable) incomes. Or is characterised by an increase in the consumption of credit – paid out of future (potential) incomes. I suspect that it may be this latter. But perhaps someone might enlighten me on this subject. If the consumption of credit has or will overtake the consumption of real goods and services – then the economy may not be expanding organically. It may seem to be doing do if those conducting the measurement process keep looking in the same place and continue to neglect the increasingly negative effect on the annual, compounding RoG, of interest payments on personal, corporate and state debt liabilities. Most ordinary folk cannot (legally) create fiat currency to repay interest: they need to ‘earn’ it. So, if incomes (wages and salaries) do not increase proportionately over time, then either debt will go unpaid or organic consumptions will stagnate or decrease. Its not a zero-sum situation: its a negative sum. That is, in the circumstance described economic expansion is either retarded or it decrements. Non ‘growth’ – of whatever variant, is not a viable economic option. If ‘global’ or EU regional ‘growth’ is by consensus, believed to be at or below 2% p/a – then how is it that Irish economic ‘growth’ is double this? Its not. So how are our economic estimates being computed? Are they reliable? I guess not. But hey, just go with the flow here! 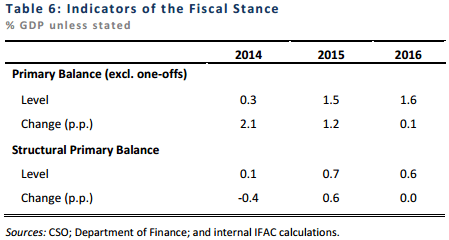 Table1 shows the budget condition is a structural balance of 0.0% of GDP. The text says -0.5% of GDP. Is one of these a typo? Good spot. The budget condition as it applied to 2016 was a structural balance of 0.0 per cent of GDP. The budget condition has since been revised and has been set at -0.5% of GDP for 2017 on.